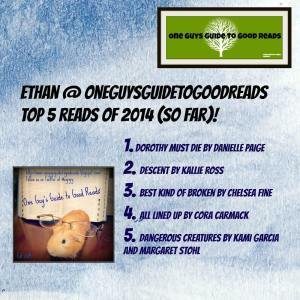 One of my favorite bloggers is Ethan, from One Guys Guide to Good Reads. Don’t get me wrong, I love all the book bloggers out there, but Ethan was the first to make me ‘feel’ like a real author. I’m sure other authors can relate, because when a blogger posts reviews, asks for your autograph, and comes out of their way to meet you at a convention it leaves a huge, warm and fuzzy impression! Of course I am thankful for the authors, without them, I couldn’t do ANY of this. 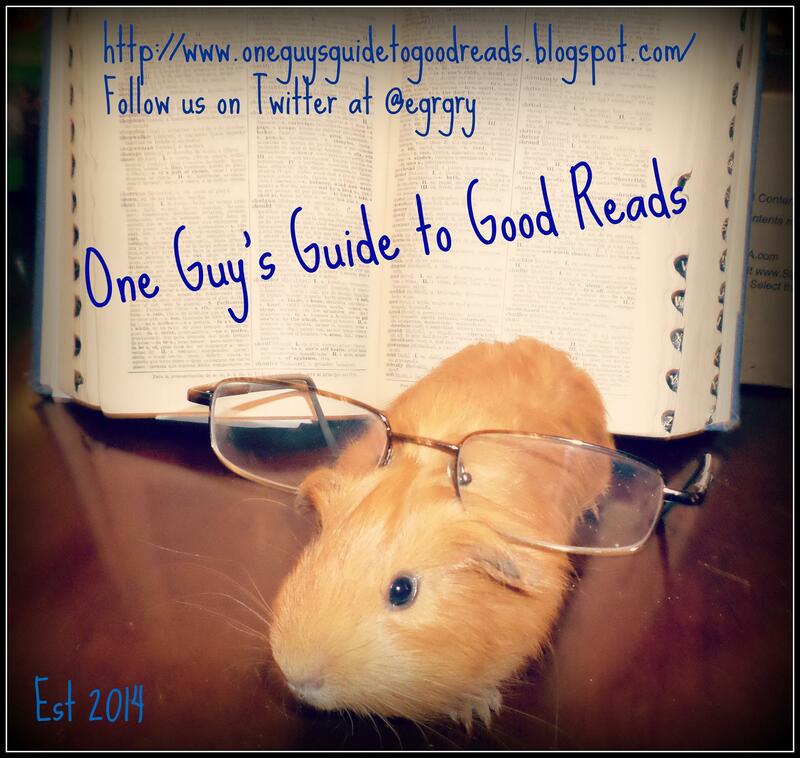 When I first started blogging, I just wanted to share my love of books. Never did I ever think I would be doing promotional graphics, writing reviews, organizing tours, etc, all for the authors. Why? Because I love each and every one of them. Some people love rockstars, some people love Hollywood actors. I love authors. Getting to connect with authors has been one of the greatest experiences I have ever had. Not only do I work alongside them to promote their works, I am not fortunate enough to call many of them ‘friend’. What an honor it is to befriend so many that you look up to. Thank you all for not only being amazing authors, but also for being an amazing resource, a great inspiration, and in many cases, a friend. You have all helped to shape me into the blogger I have become! I cannot wait to continue my literary journey with you all! EVERY author I have read from has changed my life in some way. Those who I have worked with make my job even more special than it already is. I can never thank you guys enough for all that you do for bloggers and fans such as myself. No matter how many books you sell, no matter how many awards you may or may not win, in my eyes, you’re all superstars. Thank you all so much for all that you do. Many have asked me who I blog for. Do I blog for the authors? No. I blog for the fans. For the readers. Sure what I do helps the authors, and I love it, but at the end of the day my blog is meant to help readers choose their next favorite read. I want all of my posts to inspire someone to pick up a book. Be it the book I am writing about or another book entirely, if I can help one person find a new read, then my job is complete. Getting the books in the hands of the readers is the most important part of what bloggers do. I have been so fortunate to have gained such an amazing following in such a short time. I am always getting feedback from readers who want more and it means the world. To know that just a little bit of what we do as bloggers pays off makes it all worthwhile for me. I have said this multiple times as well, “every time someone comments on my blog, an angel gets its’ wings!” So true… right? Seriously, when a reader reaches out to me with their thoughts it makes me feel so great about the work I put into blogging. I think I can speak for bloggers everywhere when I say a huge thank you to everyone who takes the time to read our blogs. Blogging isn’t always easy so to have validation from our readers means the world to us! Thanks for all you do! Remember to give a shout out to the author on the next blog post you read, you never know how much it will make their day! I know I carry all my compliments with me forever. I have made some amazing friends through the readers of my blog. Word of mouth is powerful and online relationships are vital in this industry. Ensuring that you have a positive online presence can make a HUGE difference in your blogging experience. I won’t go too far into detail here, but this actually may be one of the most important things on this list for me. I could have never made it seven months without the constant support of my colleagues in this amazing community. Have you guys ever met a book blogger? Woah. Talk about intense. We are an interesting group of people. Extremely passionate, loud, occasionally funny, awkward, and ALWAYS tired. Always. Late night chats and constant laughs have led me to develop some of the closest friendships I have ever. We may have met through blogging, but now several of us are inseparable. As I mentioned earlier, blogging isn’t always easy. Between a constantly busy inbox, giveaways, scheduling posts, etc, it’s hard to lose yourself. Surrounding yourself by colleagues who can relate to your issue can really help to ‘lessen your mental load’. You may love your friends and family, but unless they are bloggers themselves, they will never understand what it is like! Sometimes you just need a support group! The biggest asset to me has been to become a member of multiple blogging communities where I have been paired up with great support. Making new friends through my fellow bloggers has been one of the absolute greatest experiences I have had as a blogger, and for that I am forever grateful! I said I wouldn’t go into detail, but I want to give a shout out to a handful of bloggers I am particularly thankful for: Christina, Steph, Kim, Christine McAwesome, Betsy, and KHeat! I love you peeps so much. Thank you all so much for making me feel so incredibly special. I am so thankful to be surrounded by such an awesome support system. 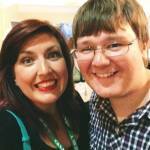 Also, making friends with fellow bloggers can mean one more SUPER important thing: cross-publicity. The best kind of publicity is free publicity! 5) My friends, family, support staff, and Avi. How could I ever be expected to give thanks without giving a special shout out to the most important people in my life? My personal support system. I remember the day I decided I wanted to start my blog. I told them all “I want to do this” and none of them backed down. I have had nothing but positive reinforcement from day one of my blogging experience. Having so much kudos and such a strong support system on the home front has really made a huge difference. I am so thankful for all of my peeps who have understood all the nights when I couldn’t ‘hang out’ because I needed to blog. Or all of the weekend trip to book events just so they could help carry all my junk. Seriously, my friends and family have stood by me since day one and I am extremely thankful for that. You guys give me the inspiration to continue down this path each day! Special shout out to my support staff members Megan, Hannah, Jessica, Tommy, Blaire, and Grace for helping in any way possible. My biggest thanks in this category goes out to my precious furbaby Avi for being so awesome while daddy spends hours on his computer. 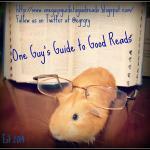 For those of you who don’t know, Avi is my guinea pig and the official mascot of One Guy’s Guide to Good Reads. If you follow the blog, you will definitely see her pictures make an appearance. She is a trooper and the highlight of my life! Well, one of the many! As you can clearly see, blogging has changed my life in huge ways. I am so thankful that I decided to start this blog seven months ago. It has changed my life for the better in every facet imaginable. I could probably go on all day long with reasons I am thankful for blogging, but I’ll stop here. I know the whole point in this blog series is so Mrs. Kallie can show what she is thankful for, but I’d also like to express how thankful I am to you, Mrs. Kallie, for showing me just how incredible a debut author can be! I have loved riding this train of awesome and going on this literary adventure with you! I know we will all continue to see great things out of the amazing Kallie Ross! Happy Thanksgiving all and a very Happy Holiday season! If you are ever looking for a great book recommendation or are just looking for a new bookish friend, do not hesitate to give me a shout out on Facebook or Twitter! I love making new friends! Thank you so much to Mrs. Kallie for allowing me to participate in this series! Happy Reading! I hope you’ll take a few seconds to ‘follow & like’ Ethan! You won’t regret it! Great post! Ethan is pretty awesome. I ♥ this post and I ♥ Ethan! Kallie, thank you so much for featuring one of the good ones. 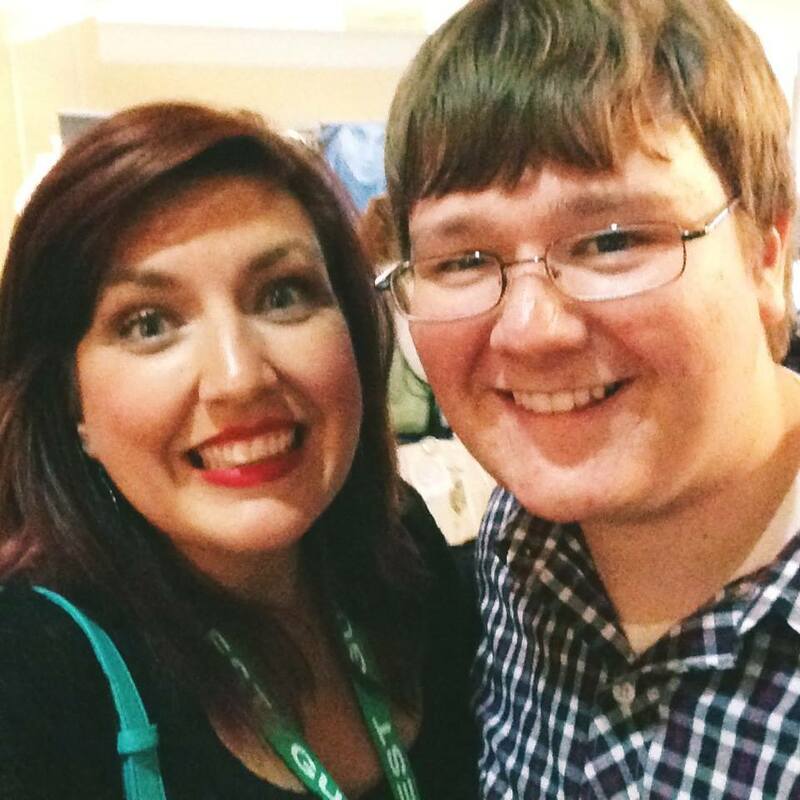 Ethan’s not just an excellent blogger, but he’s an amazing person. Oh, and I’m not calling MYSELF Christine “McAwesome” that’s just crazy (but lovable) Ethan! haha…just to be clear. ETHAN!!!! Why you make me cry. You know I don’t like the water that leaks from the eyes! But I love you too, dude! GREAT post!